S ome people eat to live. And some live to eat. 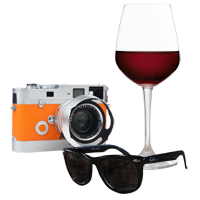 If that sounds more like you, this tour is an invitation to immerse yourself in one of the world’s great cuisines. Blessed by the bounty of the surrounding sea, a fierce local pride in the food they cultivate, and a passion and dedication – bordering on obsessive – to food, Japanese eat better than probably anyone else in the world. Tokyo, with its size and cosmopolitan nature, is one of the top restaurant cities in the world. From its distinct seasons and diverse geography and fauna, Japan is a gourmet paradise. We intend to show you the broad range of regional dishes. You’ll meet local providers and chefs along the way. But we have to warn you…despite the often refined and small portions associated with Japanese cuisine, if you’re a food enthusiast like us you’re likely to gain weight on this trip! Which is why we will do a fair bit of walking and sightseeing along the way. So bring comfortable walking shoes, an open mind, and an appetite and enjoy with us. Kaiseki – A Kyoto cultural gem, it is an elaborate, multi-course, meticulously prepared and exquisitely presented – a meal to remember for a lifetime. Okonomiyaki – almost a cross between a pancake and pizza, made of batter and cabbage and topped with seafood, vegetables, or pork, a specialty of Osaka and western Japan but with numerous regions creating their own versions. Monjayaki – best not to describe what this looks like, just know that it tastes great, is great fun to eat, and you’re unlikely to find it outside of Japan! Noodles – Udon/Ramen/Soba – each of these wildly popular and delicious noodle types has distinct and unique flavors varying from region to region, season to season and home to home. Tofu – a simple preparation of soybeans – transformed into traditional dishes from miso soup to Yodufu, a Kyoto specialty. Chanko Nabe – A surprisingly tasty and healthy stew with chicken, fish, tofu and vegetables which is a staple of Sumo wrestlers. Mochi, Yakimochi and charcoal grilled Isobeyaki – Mochi is a Japanese glutinous rice cake and can be served sweet or savory. Isobeyaki or yakimochi is a savory soy sauce glazed grilled mochi wrapped in nori (seaweed). Hard to beat when hot off-the-grill and smoky. Mitarashi Dango – a Kyoto street food specialty it is grilled mochi-esque Japanese dumplings served on a skewer coated in a viscous sweet soy sauce glaze and dusted with toasted soy bean powder. It has a nice chewy texture similar to glutinous rice balls with a sweet yet slightly salty sauce – almost like a soy caramel. Tempura, Sushi, Sashimi and much more – we mention these standards because where we take you the tempura barely resembles what you’ve likely had elsewhere, and the sushi and sashimi will be amongst the freshest you’ve ever had. 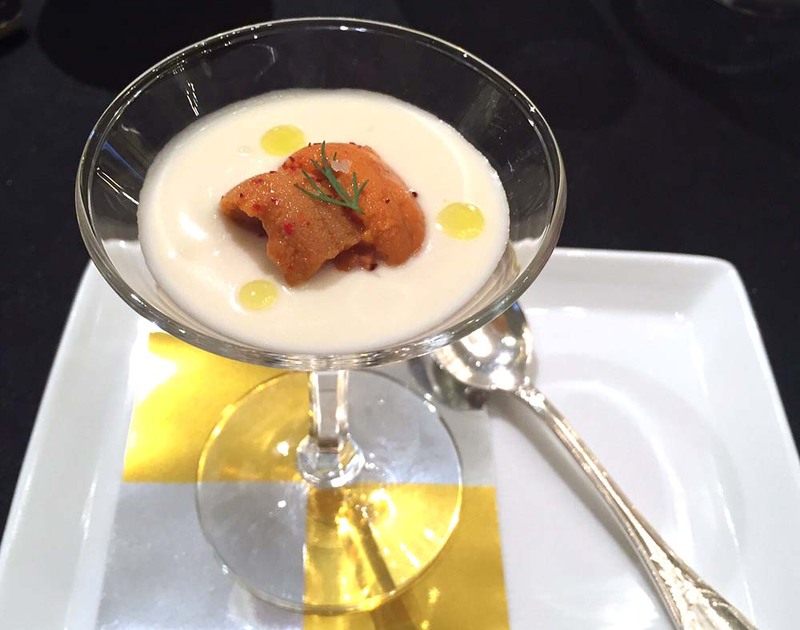 Eat and drink – incredibly well! Sampling and experiencing a full range of Japanese cuisine and beverage. 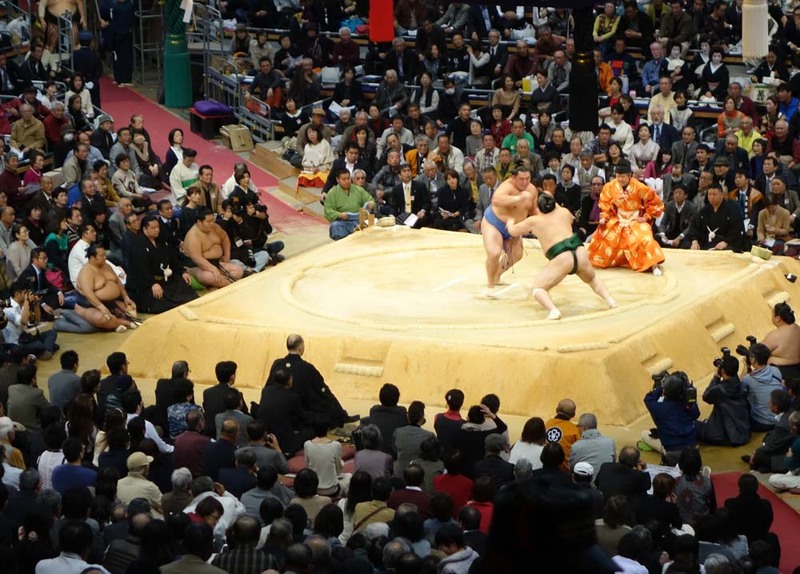 Watch Sumo (May trip) or visit a Sumo Beya for an up close view of the world’s most ancient, active sport. 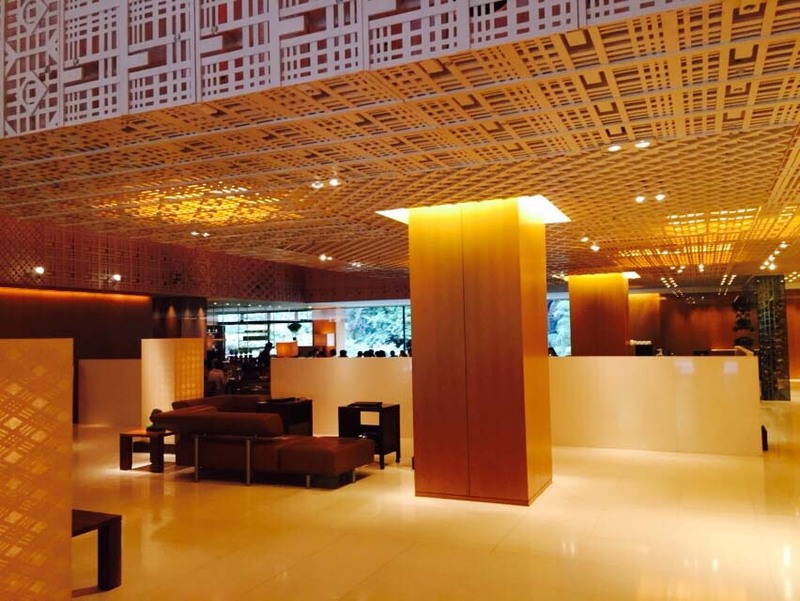 Hyatt Regency Kyoto (May) – Standard and Upgrade accommodations are the same for this trip and you can find more a description of this fantastic hotel below. The Capital Tokyu Hotel – Tokyo. This hidden gem is nestled against the Hie Shrine, a short walk from the Diet Building and 10 minutes from the edge of the Imperial Palace, and an even shorter walk to the bustling and vibrant Akasaka neighborhood of central Tokyo. Elegant and understated yet completely modern, it is a fantastic location for exploring Tokyo on the final days of your tour. The Conrad Hotel. New, Stylish and Elegant, boasting fantastic City View rooms with all the attention to detail and service you’d expect from a Conrad property. And all in a great location from which to explore Tokyo. Hyatt Regency Kyoto (May)* Elegant and fabulously located directly across street from the redone national museum, adjacent to 2 temples, and nestled in the foothills of the World-Heritage site studded Eastern Mountains, it provides a fantastic blend off tranquility and hip modernity with a fantastic sake bar in basement for those so inclined. *For May trip the Standard and Upgrade hotels are the same, but room types may vary. Afternoon/Evening Arrival. Upon arrival in Narita, you’ll be assisted with your transport to your hotel. The evening is free for you to refresh or explore as you please. We’ll be up very early, putting your jet lag to good use, as we journey to explore the vast array of seafood at the largest fish market in the world – Tsujiki. Then we sample the produce as locals do at a local sushi restaurant for brunch. We’ll explore hidden gardens amid striking architecture, stopping occasionally for refreshment and reflection. We’ll take a riverboat cruise on the fabled Sumida River, the lifeblood of Edo on our way to Asakusa, Tokyo’s old town. There we will visit Sensoji, Tokyo’s oldest temple on our way to “kitchen street” which supplies specialty cooking wares to restaurants across Japan – a true treat for foodies. We’ll make the short journey to Ryogoku, the center of Japan’s sumo world. If you’re travelling with us in May, we will have reserved seats for you at the Kokugikan Sumo Stadium where you will watch a match of the Grand Sumo Basho Tournament and enjoy festive Yakitori skewers and perhaps a cold beer. If travelling with us in June, we’ll experience an up close and personal look at Sumo, by visiting one of the local Sumo Beyas to sit in on a practice session. Afterwards, we’ll go to one of our favorite Chanko-nabe restaurants, run by an ex-sumo wrestler to eat and drink like as the wrestlers do. We’ll start by strolling the hallowed grounds of the Imperial Palace working up an appetite we’ll satiate with a special Tempura lunch. In the afternoon we’ll migrate to Shibuya, Tokyo’s main center for youth fashion and culture and entertainment trends. It is also home to the famous 5 way “scramble crossing”. Next is Harajuku, and the famous Takeshita dori. Whether you are a goth, punk or anything in between, there is a shop in Harajuku that caters for you. Nearby is the Meiji Shrine, a wonderful respite from the city hustle and bustle. If on our June trip, we’ll take a break from the sights to drink and learn about Japan’s national beverage – Sake – at a tasting and lecture. Following that, you can stroll Omotesando-dori, a broad tree lined avenue surrounded by a maze of wonderful small alleyways and smart stores and cafes. Here you can enjoy a leisurely evening meal or snack while exploring the lovely honeycomb of small streets in and around Omotesando. Today you will make a trip to Kamakura, the former capital of Japan as the seat of the Shogunate during the Kamakura Period (1185 – 1333). At that time Kamakura was the largest city in the world. 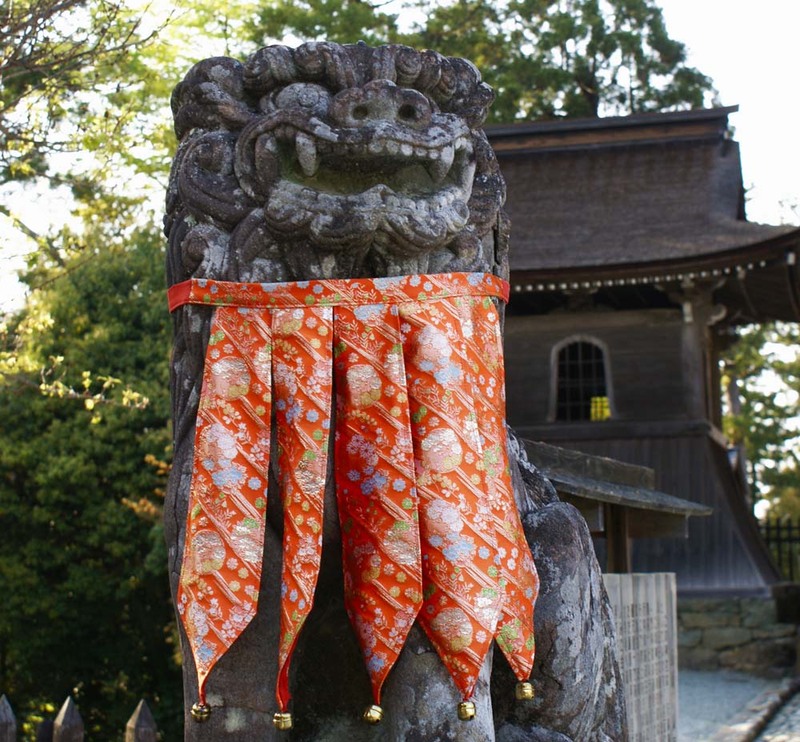 The Kamakura of today is a small, sleepy seaside town with numerous temples, shrines and other attractions. With your guide, you will visit some of the numerous local Temples and Shrines and we’ve arranged for lunch at an acclaimed favorite of ours in one of the areas quietly known among locals for its high concentration of superb small restaurants. After a satisfying meal, we’ll continue on to Hakone, the gateway to the Mt Fuji region where you can explore this stunning region renowned for its hot springs, heated by the subterranean fires of Mt. Fuji. Tonight you will stay in a Japanese traditional ryokan, sleeping on futons laid out on tatami mats, bathing in piping hot onsen, and dining on delicious traditional meals for dinner and breakfast the following morning. Today ride in style on Japan’s world famous Shinkansen bullet train to Kyoto. Once there, your guide will take you on a short city tour using the city’s public transit and then enjoy a multi course lunch at a specially chosen teppanyaki restaurant, where you will enjoy one of Japan’s unique and almost unbelievable dishes – its Wagyu beef. We’ll work off lunch with a visit to some of the cultural gems of Kyoto, including a visit to Kiyomizu temple, a UNESCO World Heritage Site. If visiting us in June, we’ll make sure your thirst for drink and education is quenched with a fun sake tasting experience. For dinner we’ll leave you with recommendations to enjoy the acclaimed local street food and fare of Kyoto. Today you explore some of Kyoto’s World Heritage Sites, including Kinkakuji Temple (Golden Pavilion), which was originally built as a retirement villa for the Shogun. We’ll also see Nijo Castle. 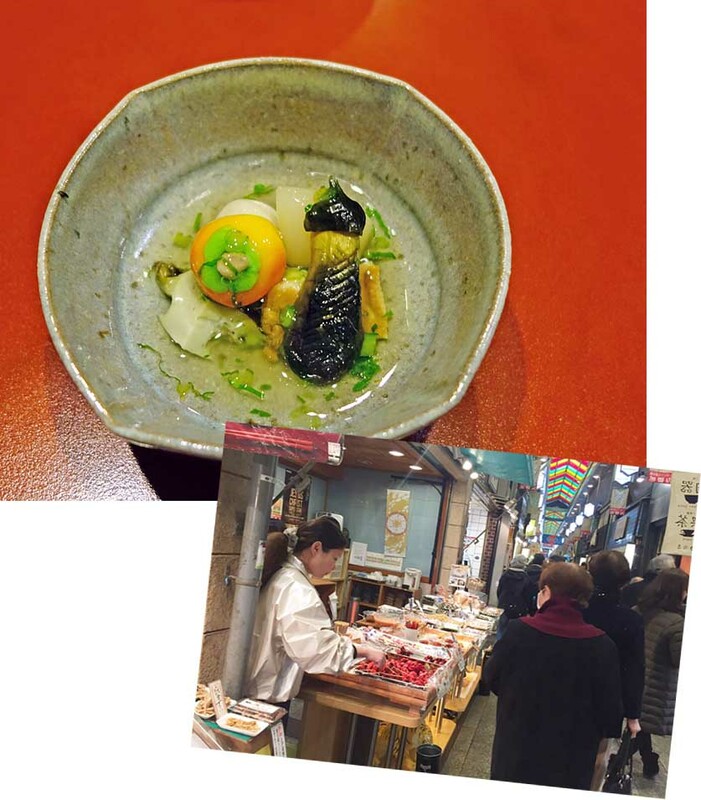 From there we’ll walk down Nishiki Market, another foodie fantasy. Known as “Kyoto’s Kitchen”, this lively retail market specializes in all things food related, like fresh seafood, produce, knives and cookware, and is a great place to find seasonal foods and Kyoto specialties. Your final stop today is a traditional teahouse where you will enjoy a genuine tea ceremony before a truly festive evening begins. The evening will begin with a walk through some of Kyoto’s geisha districts where you’ll learn about the geisha’s world – past, present and future. After the walk, you will enjoy a sumptuous Japanese dinner in the private room of a traditional Kaiseki restaurant where the cuisine began. Today you will be assisted to Kyoto station by car for the return trip to Tokyo by Shinkansen. In the afternoon you will try your own hand at Japanese cuisine with a hands-on sushi-making lesson. You will then get to enjoy your home made sushi, but leave some room open for your multi course dinner at the famous Izakaya-style restaurant Gonpachi, a favorite of US Presidents and place whose cuisine is matched only by the amazing interior which was the inspiration for the set of Tarantino’s Kill Bill movie.